The clean, sensible lines of the Focus E collection embody the simplicity of the modern form without sacrificing on functionality. This two-handle widespread bathroom faucet features sleek lever handles and an angled rigid spout with a 4-3/4" reach. 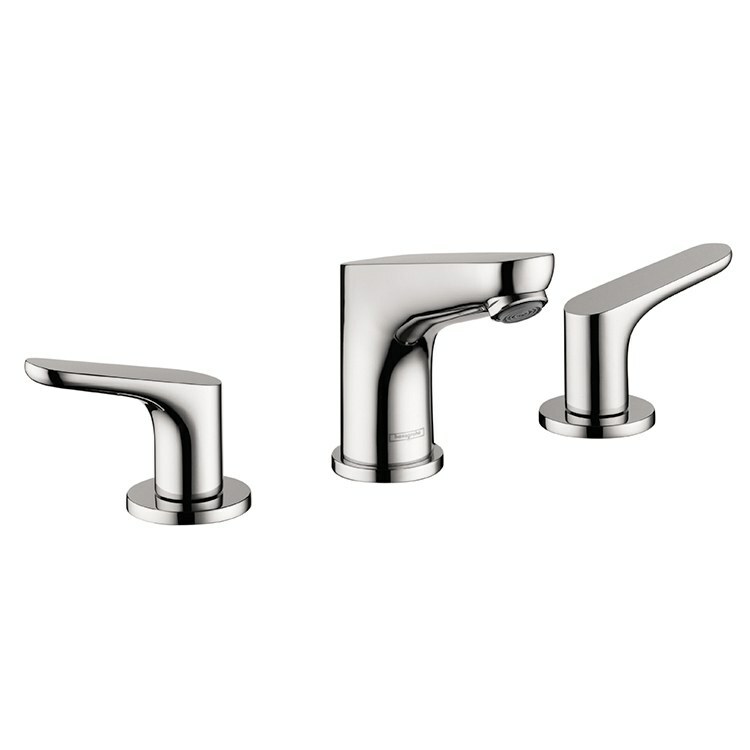 The faucet measures 4-5/8" high and mounts in three-hole applications with 8" centers in decks up to 1-3/8" thick.